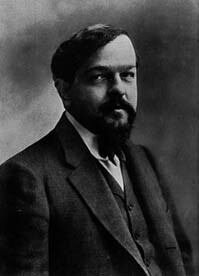 French musical impressionist Claude Debussy claimed to hate loud noise, bombast, and the obvious. His alternate vision became an integral part of the twentieth-century musical world. In this Milestones of the Millennium feature, author and commentator Jan Swafford puts Debussy’s life and work in perspective along two of his greatest masterpieces: the seductive Prelude to the Afternoon of a Faun and the shimmering tone poem of the sea La Mer. Debussy taught us that the colors of sound are an integral part of music. For him, light and shadow replaced theme and variation; harmony and rhythm were integrated with the flow of movement through time. Swafford notes that Debussy made the language of tones suddenly rich and strange. Compared to his luminescent orchestra, a Wagnerian one seems turgid and opaque. The harmonic sense of later revolutionaries sounds puritan in the face of his sensual chords. Like a referential tale of Marcel Proust, Debussy’s instruments are remade into images and ideas: a cymbal becomes a splash of seawater; a piano a flute, and, a flute the memory of a friend. Part of the Impressionist spirit but unhappy with the label, Debussy painted scenes not unlike that of his French counterpart in the visual arts: Claude Monet. Objects of nature became musical motifs, brushed with a personal palette of dreamy harmonic color. Click and listen to Debussy’s music and then Swafford discuss his approach.